So week three is upon us. I definitely feel myself fitting more into German life, I don’t feel paranoid to walk around in public with the ‘tourist’ scent seeping from me. I feel like I blend into the background more than I did before, I am definitely adjusting. My emotions from last week have definitely calmed, I have been working promoting some clubs and then on my off days I sleep, relax and read. I figure I have plenty of time to explore Berlin some more, I am hoping to do more of that in the coming weeks and not spend all of my time locked in the apartment. I have found myself less homesick than before, of course I am still missing my family and my dog, I find that a FaceTime or two every few days and texting my mother throughout the day is really keeping me at bay, I don’t feel the pull to grab the next flight home anymore. I was fine until the news of the Berkeley tragedy hit. For some reason it affected me more than I thought, the whole country is mourning those students but I think the fact that they were close to me in age, some of them attending my college, I don’t know it just seems like they could’ve been anybody, we all know someone travelling for the summer and it is just so upsetting that six people lost their lives in such a senseless way. I think everyone knows someone that is somehow connected to this tragedy, which is sad but it shows just how small Ireland is and it reinforces just how minuscule we are in the grand scheme of things, I felt stupid to be complaining about being homesick when six families and their friends were mourning their loved ones. It definitely puts things into perspective for me. While I kept up with the news stories on Berkeley, I did try to get out and not let it take over my mind as much, which was difficult but I tried. We decided to finally have a night out in Berlin, we have been so stressed about jobs and worrying about the next few weeks that we forgot to have fun. We went out to a club in Warschauer Straße and let me tell you, do I love the Berlin attitude towards clubs. The outfit of choice is chill and definitely not dressed up, which was a relief to me as I prefer to be comfortable when out and in crowds, it was a nice change of pace from the Dublin club scene. The next day while we were slightly fragile and recovering, we got up and went out to celebrate Fête de la Musique. We travelled to Kreuzberg to take in some of the events and I left feeling more cultured. We stopped in one of our roommate’s friend’s favourite Turkish cafés and I tried my first bit of Turkish cuisine and it did not disappoint. The flavours from the Halloumi cheese to the sauce over top was just amazing, it definitely opened my eyes to some of the amazing food available throughout Berlin. After eating there we grabbed some drinks while walking around the area listening to some of the different styles of music, it was a nice carefree day to top off an amazing weekend. 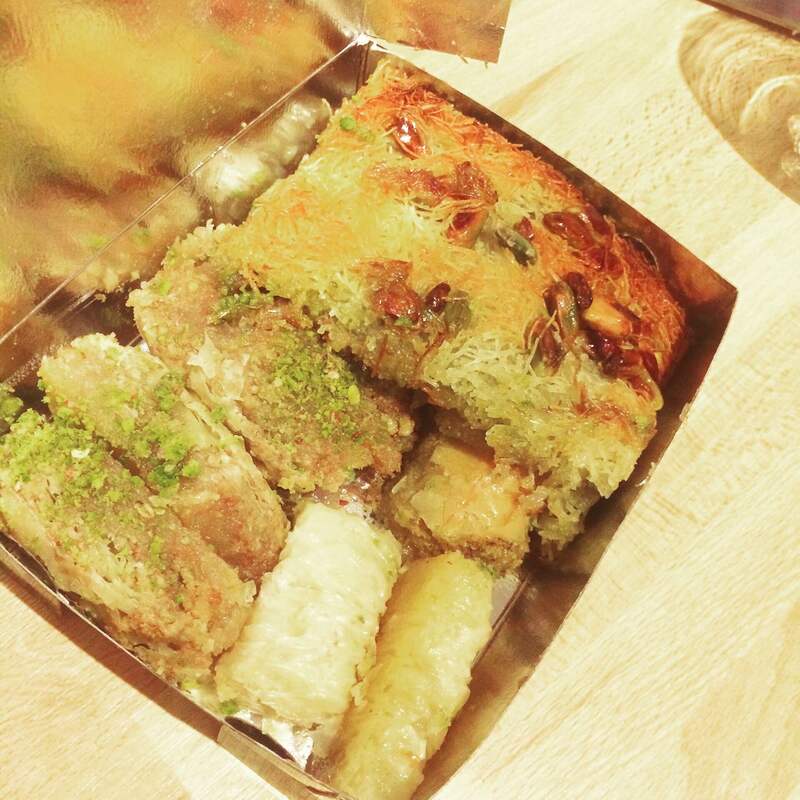 Before going home we picked up some Baklava, another piece of Turkish cuisine, and again it did not disappoint. It is a Turkish desert that was described to me as pastry with pistachio dipped in honey. I’m not sure if I am explaining it correctly but let me tell you, it is amazing, but very heavy and sweet. It is not something that I would be feasting on, always in moderation. Wrapping up week three was another promotion job trial that will hopefully pan out but compared to last week, I have become more calm about the whole situation, I am enjoying my time in Berlin with one of my oldest and best friends who I would not be seeing much of this summer if I hadn’t decided to embark on this adventure with her, I am glad I took the leap because it’s shaping up to be a good summer.